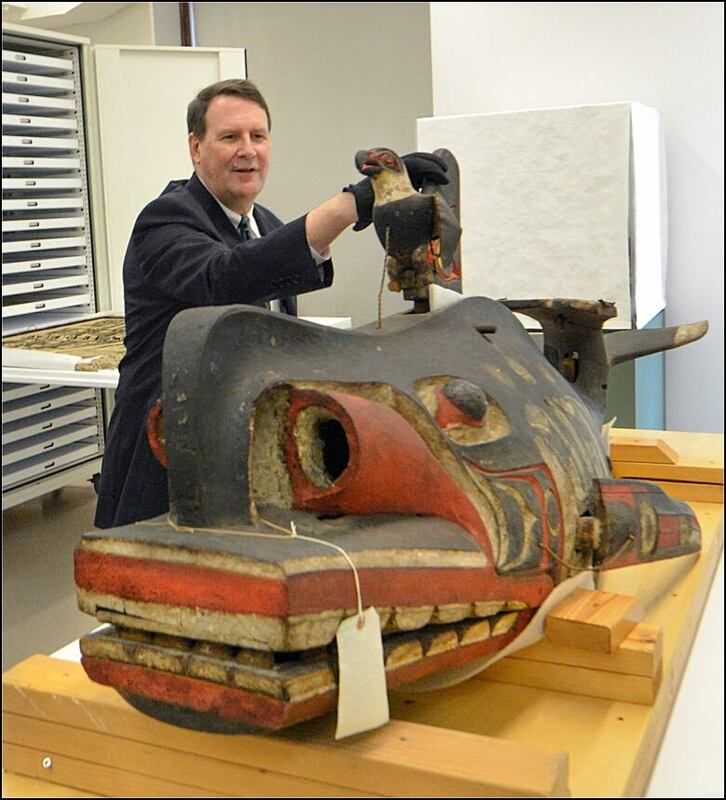 The American Museum of Natural History in New York City is launching a multi-year project to restore and conserve a section that highlights First Nations cultures of the Pacific Northwest. Nuu-chah-nulth artist and historian Ron Hamilton, known as Haa'yuups, of the Hupacasath First Nation in B.C. 's Alberni Valley, was recently named co-curator of the project, which is housed in the museum's Northwest Coast Hall. Haa'yuups will provide input on all aspects of the exhibition's design, enrichment and interpretation. "Every one of those wonderful, beautiful objects reflect a wonderful, beautiful mind and a wonderful, beautiful view of the world where people see themselves as part of a whole," Haa'yuups told CBC's Francesca Bianco of the museum's collection. He will also help the museum avoid any wrong turns in the restoration process. Opened in 1899, the Northwest Coast Hall's artifacts and objects were acquired by the museum during the late 1800s and early 1900s from different Northwest Coast communities. These communities lie along the coast that extends from southern Alaska, down through Canada and to the state of Washington. Among the gallery's collection are Nuu-chah-nulth, Coast Salish, Haida, Nisga'a and Tlingit materials. There are over 10,000 objects on display, including masks, bowls, spoons and poles. According to the museum's website, the names in the alcoves of the hall reflect what anthropologists called these communities over 100 years ago, not what they call themselves today. "The collection has some fabulous historic pieces, but it doesn't convey a sense that these are living people with living cultures who are continuing to maintain them," Peter Whiteley, the curator and cultural anthropologist of the Northwest Coast Hall, told Bianco. One of the ideas Haa'yups has brought to the project is to display thousands of traditional names of people from his country behind the gallery's objects from that region — names of the people "who made those things, owned those things, used those things and expressed their beliefs about life and the world around them." Chief Steven Tatoosh of the Hupacasath First Nation says that he hopes Haa'yups' involvement with the museum project will inspire younger generations to take interest in Indigenous artifacts as well. "This announcement gives me a sense of security. 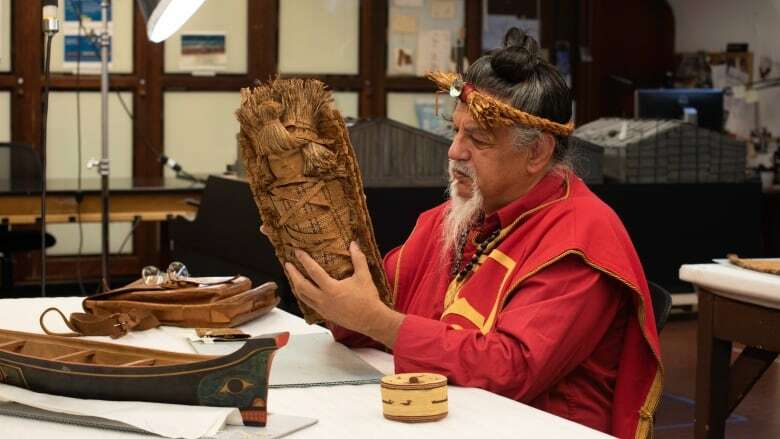 People of the Hupacasath [Nation] have one of their own working for the museum and restoring and looking after our historical artifacts," said Tatoosh. The renovated space will be completed in 2020, in time for the museum's 150th anniversary. With files from On the Island and Francesca Bianco.